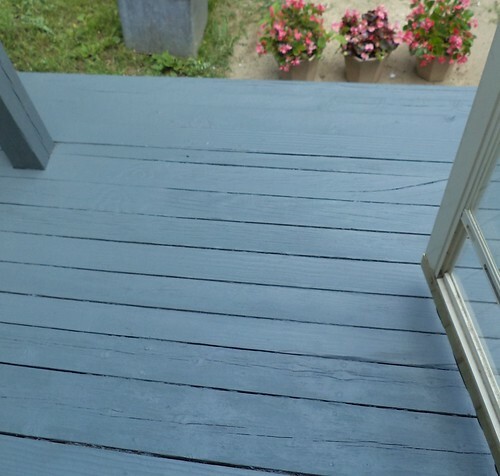 It's been a year since I painted the front steps. Yeah. The top, particularly near the house, had flaked off. 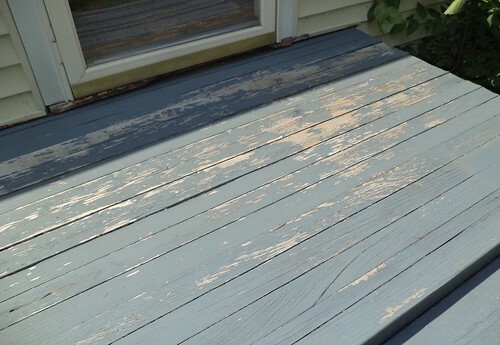 All of the steps show some signs of wear but the top stoop is the worst. As it was to be a dry weekend, now was the time to repaint. I just repainted the tops of everything. Perry expressed some concern that, after a year out in the elements, a new coat would not match the rest of the steps. It actually matches perfectly. I think I told myself last year that I should put another coat on before the fall rains came and I didn't do that. I will tell myself that again. There should be a second coat on this before November. Will it get done? Probably not, but it's a nice goal to have. I still have a quarter of a gallon of paint left.